Encode text and symbols to their correct html entity representation. Decode html entities into their plain text representation. 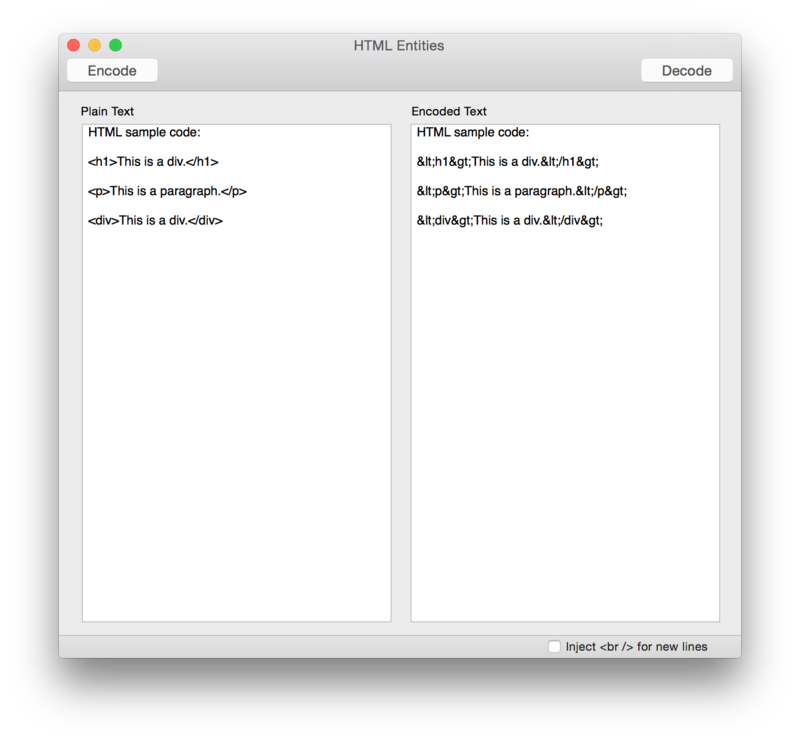 Encode large body's of text in preparation for pasting into HTML documents. Encode HTML for web tutorials. This app also implements a number of services so that you can convert text on the fly in other applications. HTML Entities is available on the Mac App Store.